The 2018 World Cup comes to an end this afternoon and this successful, entertaining Russian edition should end with a French victory. 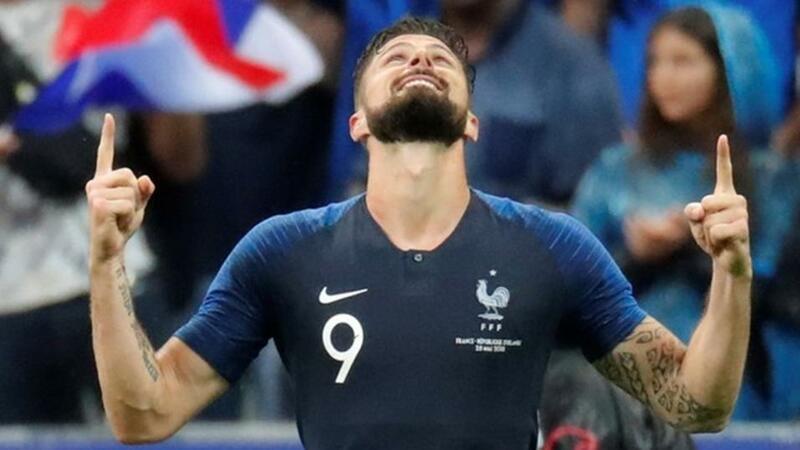 I have been critical of Les Bleus at times in this tournament - more so their manager than the players themselves - but they showed their class against Belgium in the semi-finals and they should kick on from there. This all comes down to a couple of things for me - opposition beaten so far and freshness of the players involved. Since the group phase, France have knocked out Argentina, Uruguay and Belgium - all within 90 minutes. While Croatia have dispatched of Denmark, Russia and England - drawing all three games in 90 minutes and needing penalties to beat two of them. Kylian Mbappe will be relishing the opportunity to play against some tired legs and Antoine Griezmann has the guile to pick any defence apart. Luka Modric is the key for the Croats, but he will be up against N'Golo Kante, and he's arguably the most ideal player in the world to keep the Real Madrid man quiet. Jack Lang has previewed this game in full...check it out. The leaders of the Eastern Conference are Atlanta United, but things are getting tight at the top following victories for both New York clubs last night, so I'm expecting The Five Stripes to put in a performance here and take all three points - possibly in some style. When they were last in action at the Mercedes-Benz Stadium, Gerardo Martino's men beat Orlando City by four goals to nil and two matches prior to that they won 3-1 against Philadelphia Union. The visitors today are Seattle, and they sit 10th in the Western Conference. Nine defeats in 17 fixtures has left them with a bit of a hill to climb, but it is worth noting that they have games in hand over all bar one team above them. The Sounders are actually unbeaten in two on their travels, but they weren't against top opposition, and prior to that it had been three straight away defeats. Bob Bradley's Los Angeles FC are riding high in second place in the Western Conference and they can close the gap to one point on leaders, Dallas, with a win in their game in hand tonight. They come into this game on the back of an impressive run of form that has seen them take 13 points from a possible 15, and they thrashed Orlando City by a 4-1 scoreline last weekend. Opponents, Portland Timbers, are also in good form as they are unbeaten in 11 matches - eight of which were wins. Their two latest outings resulted in victory as they beat Seattle 3-2 and San Jose 2-1. It's difficult to imagine that both teams won't get on the scoresheet at the Banc of California Stadium tonight, as the selection would have landed in four of LA's last five here and six of Portland's last seven on the road.